To help you create a new level of flavor experience, Bertazzoni convection steam ovens use water vapor to seal in nutrients, vitamins and minerals. This makes cooking vegetables, fish and meats quick and efficient. And the results are both healthy and taste delicious. The Bertazzoni Total Steam oven does all these things perfectly and is extremely simple use. The cleverly concealed water tank (hidden behind the push-pull control panel) allows you to refill the water tank without opening the oven door. Simply slide out the tank, refill and return it to the oven without interrupting the cooking programme. 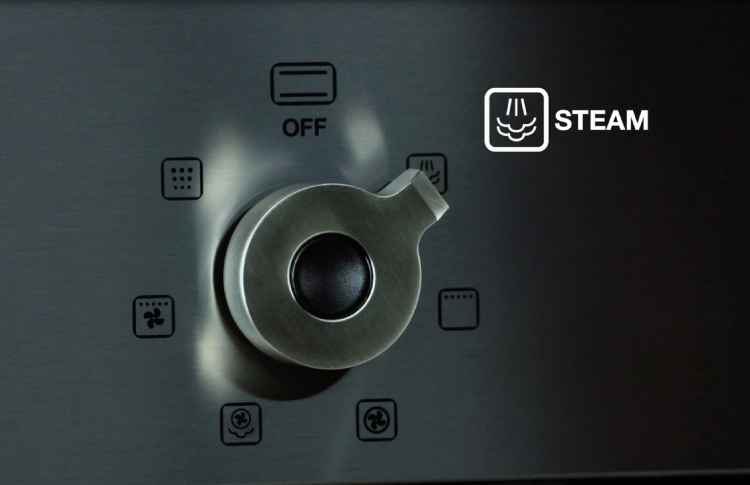 The Steam Assist oven offers three different steam intensity levels. Combined with traditional cooking functions, this delivers more intense flavors along with the ability to bake, roast and broil. Take a look at our video to see how the technology and engineering behind Bertazzoni convection steam ovens.